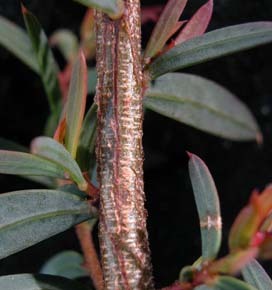 Acacia siculiformis is one of several species of Acacia with narrow, hard, sharp, pointed phyllodes. 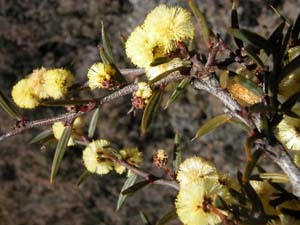 The flowers are in spherical heads, which are solitary in the leaf axils, the phyllodes tend to be glaucous and the bark has rectangular flakes. 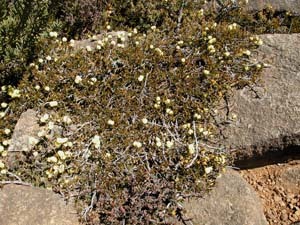 It is a rare shrub that occurs in the north east and on the lower parts of the Central Plateau, often near rivers. 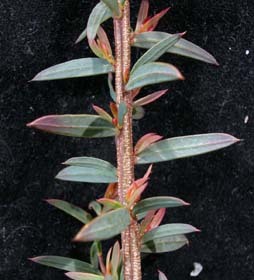 It is often prostrate or may grow to about 1m tall.